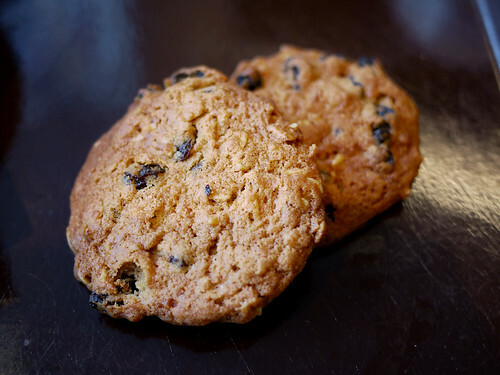 The oatmeal raisin cookies were pleasantly nice. You can never tell with corporate cafeteria dessert. Now that we've tried Conde Nast, the NY Times, the IAC Building, we're on the prowl for other corporate cafeterias. Still have Bloomberg and Hearst - any other recommendations we should start stalking? Our PwC office stocks packaged Momofuku Milk Bar cookies! But the likelihood of an architect making an effort to visit an accounting office over any one of the ever-expanding number of milk bars in the city is probably rather slim.